Is it too stylish for the segment? The XF 2.0 has a tempting base price, but the V-6 is where performance begins to fit the contours of the class. And all-wheel drive isn't the performance or resale penalty it used to be--in fact, it could give the XF higher resale value down the road. Refined, nimble, and a scorcher in R trim, the Jaguar XF's only remaining hurdle to greatness is back-seat space. The Jaguar XF came late to the mid-size luxury sedan soiree--decades after the Mercedes-Benz E-Class, BMW 5-Series, even the Audi A6 had carved up much of the territory for themselves. But the XF has had the Jaguar name and a deft styling pen at its back, and now it has the few missing pieces of hardware it's needed, as it tries to elbow its way into that exclusive set. The XF's look is proof that retro is mostly a crutch. It's spirited and sleek, with few cutlines, and yet the catlike stance plays off its brand name beautifully. The knockout interior is no retread, either. It's the glitziest cabin in the segment by at least a square yard of metallic trim. The rotary shift knob, "heartbeat" lighting and vents that wake up when the pushbutton start is tapped, and chic panels of wood or piano-black trim are framed by high-grade leather. V-8 engines are no longer the only pathways to power in the XF. This year the naturally aspirated eight is gone--but it's supplanted by both a turbo four-cylinder with 240 horsepower and a supercharged V-6 with 380 horsepower. 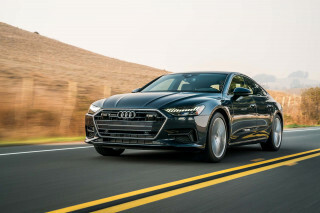 One's an economy-minded offering that helps cut the base price and boost gas mileage; the six is more a direct replacement for the V-8, with 0-60 mph times roughly its equal, and a more classically British engine note, complete with supercharger whine. It's also equipped with stop/start to increase fuel economy, and it's a juddery system that makes plain the sacrifice to the EPA gods. Both supercharged V-8s return, and the 5.0-liter engines turn in stunning, confident performance, with a brawly baritone exhaust note and 0-60 mph times of 4.9 seconds and less, depending on your choice of 470-hp XF Supercharged or 510-hp XFR models. All versions have a paddle-shifted eight-speed automatic, but only the V-6 has Jaguar's new all-wheel-drive system, a mid-cycle addition that makes an XF a practical reality for drivers in northern climates. No matter which powertrain's under hood, the XF delivers tactile satisfaction and has an understated, graceful feel from behind the wheel. Shifts are smooth and perfectly muted, but the personality changes during enthusiastic driving and the attitude sharpens, especially with the most powerful models. Well-weighted, direct steering and capable brakes add up to a joyful driving experience. With 20-inch tires and electronic systems like Active Differential Control and Adaptive Dynamics shuffling power between the rear wheels and adjusting suspension and steering firmness, the 4,200-pound Jaguar XFR out-nimbles some of the lighter sedans in its class. If we had to pick a single weakness for the XF, it's that the swoopy roofline leaves behind an especially small back seat. The XF is packaged more like a four-door coupe than a family sedan, which limits back-seat head room, but the trunk is large for the class, and the rear seats fold down for access to the trunk. If that isn't a deal-breaker, there's lots to swoon over, with lavish materials that, like the new XJ, set a new high-water mark for Jaguar. The seats are supple and well-contoured, and no matter where you're sitting, you're surrounded by rich leather and other snazzy materials, from walnut to aluminum. The XF is a sport sedan, but it surrounds passengers with serious luxury-car features. Jaguar's chucked its brilliant Bowers & Wilkins audio systems for lower-power-use Meridian units, and we think bass response isn't nearly as strong in either of the new systems. 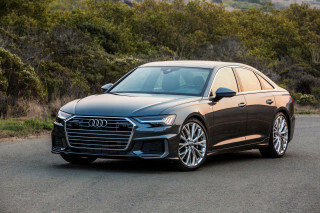 All models have two USB ports, Bluetooth connectivity, and built-in music storage; to get the base price down to $47,850 on XF 2.0 sedans, some standard features become options--namely, navigation, satellite and HD radio, and a rearview camera. The $53,875 XF 3.0 AWD is the new heart of the lineup, and a winning strategy at that--but we wouldn't steer anyone away from the $84,075 XFR, the best sedan Jaguar sells today. The Jaguar XF is proof that retro is mostly a crutch. Ultra-modern, gorgeous, and more than a little extravagant, the XF looks like no Jag before it, and patently, doesn't need to. There's more than a touch of Lexus or Audi in the way the XF slips through the air cleanly, but it's an instantly identifiable theme all the same--one that goes in lockstep with Jaguar's past without bowing down to it. It's more a visual onomatopoeia. It looks like its brand name incarnate, with a catlike stance and an intense pair of eyes set off by the mesh of its grille. Call it an affordable take on Aston Martin if you want, it's sophisticated from almost every angle. And it's only subtly changed up when the XF gets amped up into the XFR league--only some black mesh and grille trim, hood louvers, and some badging flags the 510-hp version for the faithful. If possible, the XF's cabin delights drivers even more than the exterior. It seems to have been lifted from the front desk at a chic London hotel. There's aluminum and wood trim, to be sure—burl walnut trim is now standard—as well as a groovy puck-shaped shifter knob that rises to attention when the ignition button's pressed (and reminds us of high-end audio systems. At the same time, vents roll open to life, and ambient lighting begins to glow. Jaguar considers it the car's "heartbeat," and it's a clever wake-up call to the reinvigorated design all around. Still among the best balanced luxury sedans, the XF has new forced-induction engines, and they're mostly fine companion pieces. The Jaguar XF has been with us since 2009, but for the entire time, it's lacked a few things to broaden its appeal: an engine with fewer than eight cylinders, better fuel economy, and all-wheel drive. All of those make their way into the 2013 XF, and then some. For starters, not only does the XF have a new V-6 engine--it also has a new turbocharged four-cylinder engine in its base model. The 240-horsepower four is kin to the one in the Range Rover Evoque, and if you look very closely, to the one in a few Ford products, not by coincidence. With direct injection and peak torque of 251 pound-feet that comes on as soon as 2000 rpm, the four-cylinder's pegged with a 0-60 mph time of 7.5 seconds--and at 30 mpg highway. We haven't been able to drive this version yet, so we'll update this review when we can. We've spent plenty of time in the new six-cylinder XF, in sunny and dry weather and through a snowy day of driving school in Quebec's Laurentian mountains. 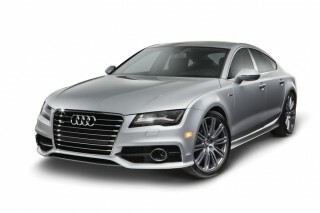 It's an excellent replacement for the former naturally aspirated V-8. At 380 horsepower, the direct-injected, 3.0-liter V-6 gives up only 5 hp to the V-8, and delivers its peak 332 lb-ft of torque at the middle of its powerband. It's flexible and powerful enough to generate 0-60 mph times of 5.7 seconds, a couple of tenths slower than the outgoing V-8, but it's not as velvety or aurally muscular as the eight-cylinder. It actually sounds more British, if you associate supercharger whine with a particular nationality like some of us do, and that sound's mixed with some typical V-6 buzzes. With a substantial uptick in gas mileage, we'd say it's worth the swapout--but we'd add that the stop/start system standard on the XF 3.0 is one of the less refined of those systems we've driven, with a kickstart vibration you can feel through the wheel and the seat. The V-6 is the only XF to offer Jaguar's new all-wheel-drive system. It's set up with a 30:70 torque split in ordinary driving, but the power can be split evenly to the front and back when traction needs arise--or, when sport mode is dialed up, it can be tuned to a 10:90 split for something even closer to the rear-drive experience. It also sends some torque to the front wheels after every stop for a smoother launch, resetting its torque split when the traction-control and yaw sensors signal the ok. With the added weight of the AWD system, the XF 3.0's 0-60 mph time rises to 6.1 seconds, Jaguar says. With either supercharged V-8, the XF turns in its most brilliant performance. There's no mistaking its eight-cylinder exhaust note, and the XF belts out either 470 hp in the Supercharged model or 510 hp as an XFR. The 0-60 mph times drop to 4.9 and 4.7 seconds, respectively, and top speed climbs to 155 mph--or 174 mph if the Sport or Speed packs are selected. All XF sedans engineer brilliantly quick and mostly smooth shifts through an eight-speed, paddle-shifted automatic transmission with quick reflexes. Selecting Drive through the rotary shift knob used to be a one-of-a-kind act, but it's no more--not now that the Ram 1500 has adopted the same transmission control. The XF also has JaguarDrive, which lets drivers choose how quickly the car shifts and responds to throttle inputs; all but the four-cylinder models also come with an additional Winter mode for second-gear starts and slower throttle progression. The XF simply gets better with each step up the performance ladder. Despite an almost supercar-like thrust on tap with the V-8s, the XF is deceptively smooth. Even the XFR feels like an entirely civil car—until you open the throttle and access its full potential. It's grippy and stealthy in the way it gathers speed, even with new electric-assisted steering. It's just firm enough in corners, and has good weight. Couple that light, direct steering to capable brakes and it all adds up to a joyful driving experience. Ride quality in the XF is quite impressive; the suspension is tuned to be somewhat soft in standard XF models especially, but there's no floatiness or bounciness and the body always feels under control. Even when shod with 20-inch tires, summer tires, and electronic systems like Active Differential Control and Adaptive Dynamics shuffling power between the rear wheels and adjusting suspension and steering firmness, the roughly 4,000-pound Jaguar XFR out-nimbles some of the less weighty sedans in its class. The XF exudes taste and fit and finish is good, but front-seat headroom and back-seat head and leg room can be tight. There's no style without sacrifice, and the Jaguar XF tithes its back-seat headroom for its fabulous roofline. The XF doesn't try to trick passengers visually, either. It's low and so are the seats, though in front the supportive and multi-adjustable seats (18 ways on the XFR) have adequate leg and head room for tall drivers to find comfort. That's thanks to an electrically adjusting steering wheel--but not much thanks to the sunroof that robs an inch or two of valuable head room. The back seat simply isn't hospitable for bigger adults. On paper, the XF's dimensions don't look unreasonable, but in practice the rear seat is best only for smaller passengers. The door cuts are on the small side, leg room too, and head room is far less than you'll find in any E-Class or 5-Series. The rear seats themselves are shapely, for those who can fit in them. 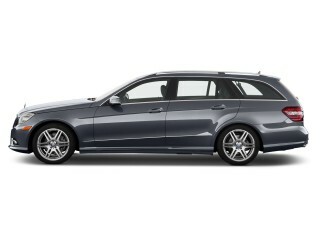 Only on some versions does the back seat fold down to boost trunk space--already good at 17.7 cubic feet. Once they're inside, passengers will be dazzled by the XF's cabin. The lavish materials inside set a new high-water mark for Jaguar. Leather trim is double-stitched, and LED lighting mixes with choice wood and metallic trim to turn the cabin into a most atmospheric space. The console and doors have enough small-item storage, too, even a deep cup holder. That said, no matter where you're sitting you're surrounded by high-grade leather and other warm, soft materials. Look around, and the instrument panel and center console are appointed in aluminum finishes and wood veneers, along with contrast stitching. No crash-test data is available, but the XF now offers blind-spot monitors--though a rearview camera's an option on most models. The Jaguar XF doesn't have a backstop of federal or industry crash-test data to confirm its safety, but new features bring it a bit closer to the standards being raised all the time by the likes of the Mercedes-Benz E-Class and Lexus GS. The XF has six standard airbags to go with its anti-lock brakes, stability control, and active front headrests. Some electronic assistants are available--rear parking sensors are standard, and front sensors are optional on base versions and standard on more expensive models. A rearview camera is an option on most models, and given the XF's narrow window of visibility to the rear, we think it should be standard. Supercharged and XFR models get blind-spot monitors, another great feature in a car with limited visibility, while adaptive cruise control with a collision warning system is an option on all versions. 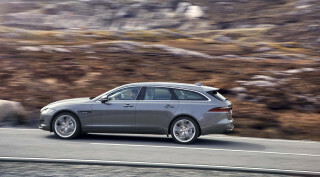 All-wheel drive is at long last available, though only on the XF equipped with Jaguar's new 340-hp, supercharged V-6. Neither the National Highway Traffic Safety Administration (NHTSA) nor the Insurance Institute for Highway Safety (IIHS) has crash-tested the Jaguar XF, which makes judging its safety more difficult. We're giving credit here to its extensive set of safety features, with a nod to the four-star rating it earned in similar European crash tests. The base Jaguar XF gets a lower base price and less equipment; new audio systems don't thrill us like the old ones did. Part luxury sedan, part performance four-door, the Jaguar XF has most of the features expected of a car in its price bracket, with some minor omissions. All XF sedans come with a rich list of standard features, though the four-cylinder models have lost some content as Jaguar gets the base price in below $50,000. 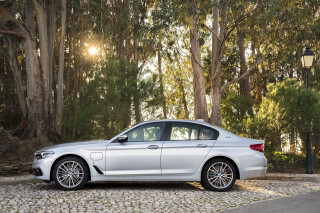 The $47,850 XF 2.0 has standard power locks, windows, and mirrors; cruise control; automatic climate control; a sunroof; leather upholstery; walnut trim; keyless ignition; Bluetooth; a 10-speaker, 250-watt audio system; steering-wheel controls; heated front seats; and rear parking sensors. Major options include a premium leather interior; satellite radio; navigation; HD radio; a choice of two Meridian high-output audio systems with 380 or 825 watts of output; a rearview camera and front parking sensors; ventilated front seats; and adaptive cruise control and blind-spot monitors. With the $50,875 XF 3.0 or the $53,875 all-wheel-drive model, the XF gains only a Dynamic mode for its adaptive drive controls. 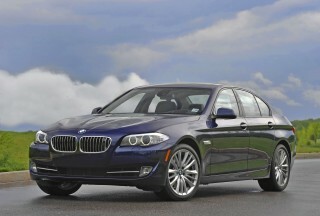 The $68,975 XF Supercharged is where most of the optional equipment on lesser models becomes standard. It adds the adaptive suspension and an active rear differential; 20-inch wheels and tires; more adjustments and finer leather for its front seats, as well as ventilation; a heated steering wheel; a sueded headliner; keyless entry; blind-spot monitors, front parking sensors, and a rearview camera; the 380-watt Meridian sound system with satellite and HD radio; and navigation with voice controls. Finally, the $84,075 Jaguar XFR carries all those features standard, and also gets the top Meridian audio system standard, as well as even more adjustment and premium leather for its seats; fold-down rear seats; adaptive headlights with automatic high beams; and a black-finished grille. Adaptive cruise control is one of the only options. 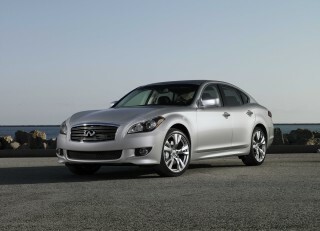 The nav, audio and most climate functions are controlled via a large LCD touchscreen on the dash. The XF's navigation system also incorporates iPod/iPhone control for music. A tap on the touch screen and you're controlling the flow of tunes through a target on the display; however some drivers will be disappointed to see that many of the climate controls have been moved to screen-only positions as well. Jaguar promises better functionality this year with dual-view mapping and lane guidance, the ability to send destinations to the car via the Web, and with relocated buttons. Of all the changes in the XF, we find ourselves missing the old Bowers & Wilkins audio systems the most. The new Meridian-branded units promise equivalent sound output at lower wattages, but to our ears, the difference comes directly out of the bass response. It's cleaner sound, maybe, but also flatter than before. Gas mileage goes up across the board, with at least one Jaguar XF hitting 30 mpg on the EPA's highway cycle. 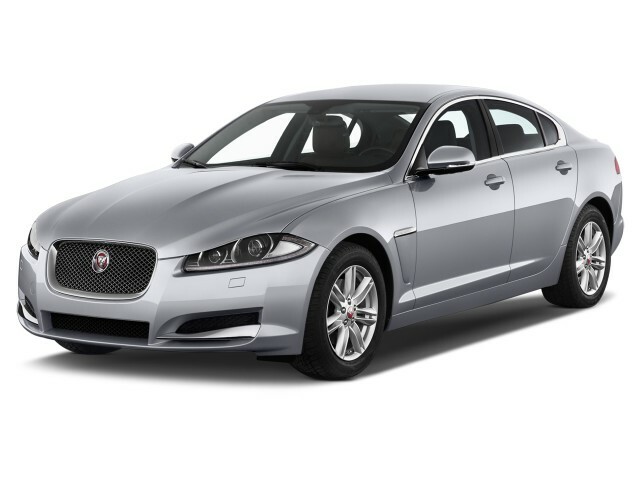 By slotting in two new, more efficient engines and adapting all its powertrains to an eight-speed automatic, Jaguar's shifted the gas mileage for the 2013 XF higher by a significant margin. It's still not among the most economical sedans you can buy, but compared to last year's best-in-lineup ratings of 23 mpg highway, there's massive improvement. By the numbers, the new turbo-four XF is rated at 19 miles per gallon city, 30 mpg highway, or 23 mpg combined. With the supercharged V-6 and with standard stop/start, it's closer than you think: the rear-drive version's pegged at 17/28 mpg or 21 mpg combined, and with all-wheel drive, at 16/26 mpg or 19 mpg combined. Though last year's normally aspirated base V-8 is gone, it's still worth comparing it to this year's supercharged V-8s. 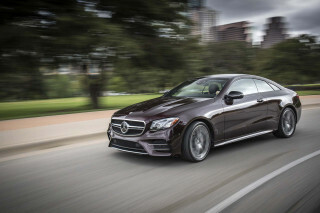 Last year the base engine was rated at 16/23 mpg, with supercharged versions at 15/21 mpg. 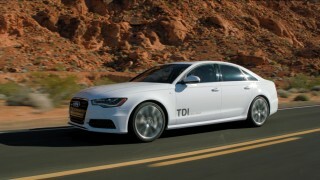 For 2013, the new transmission nets both supercharged models the same EPA figures: they're 15/23 mpg, or 18 mpg combined. Looking for a different year of the Jaguar XF?